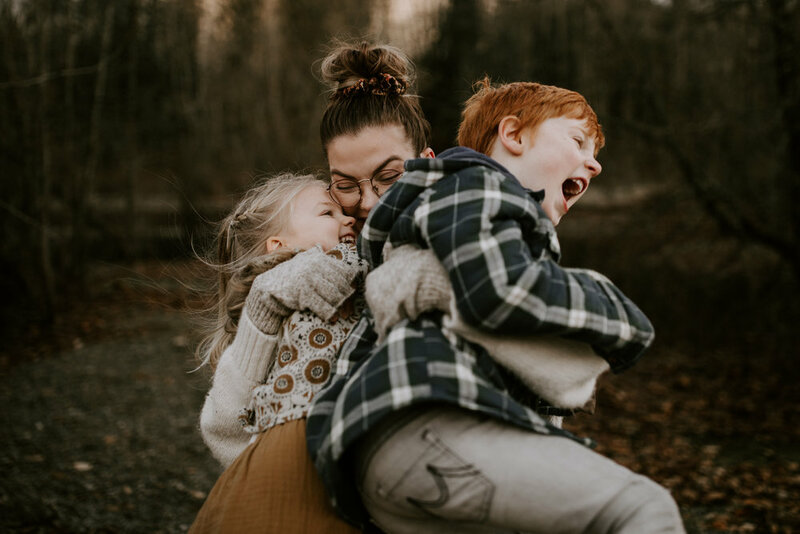 If you’ve stumbled on this page in the search for a photographer to capture your family session, then hello and welcome! I would love to opportunity to chat and explain my process! As a Mom myself, I know how valuable it is to freeze time while kids are growing and changing so quickly. A little about me… My name is Angela Ruscheinski. I live in Langley BC and I’m passionate about shooting heartfelt and candid family sessions in organic, natural settings. I’m a lover of golden light, yoga, spicy food and zombie movies. I’m fascinated by the stars and the universe. I like to set goals, eat cheese, drink beer and stand on my head. I'm an only child, a mom and a wife. I never remember an umbrella and sometimes I order a veggie burger, add bacon. Now for what to expect, what to wear, where to go, and how to plan. My philosophy around capture families is simple. Natural, organic looking backdrops, good light, minimal ‘posing’ and lots of cuddles hugs and laughs. The best shoots come from those that can arrive with a ‘go with the flow’ mentality. Kids will be kids and I want to embrace that, not force them into stiff smiles. I’ll find us an amazing location and let you know when the magic ‘golden hour’ is on your chosen date. My favourite locations all revolve around where we can find the best light and open space to roam. I’m always on the hunt for new gems and it definitely changes with the seasons. Leading up to your session, we’ll chat about what to wear and I’ll provide you with a style guide to help set you up. I’m not the type for overly dressy or formal sessions and I like to encourage casual or bohemian inspired outfits and neutral colours. Questions? Interested in booking a session?